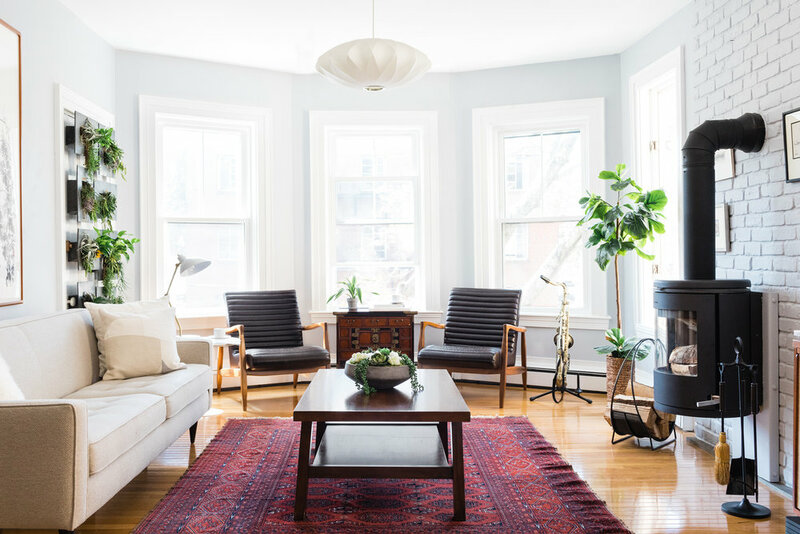 After completion of the Master Bath for our wonderful clients, we were engaged to redesign their Living + Dining Room of their Harvard square condo. The space is full of natural light and fortunate to have high ceilings. We drew from our previous project with them to create a space that was bright, airy with accents of wood and texture. We reused their vintage rug while selecting pieces that would integrate well with it to create a balance of old + new. The clients had always wanted a Sarinen Tulip table which we were able to place strategically in the bay windows. Paired with a crystal chandelier, the dining room is a mix of elegant with mid-century elements. 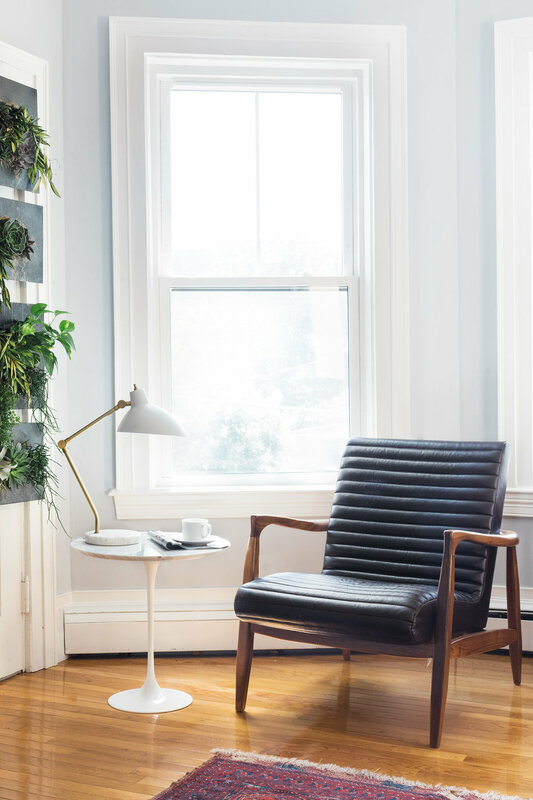 We took their love of plants and created a living wall to conceal an additional door to the unit. This location allows them to get ample light while creating a natural artistic element.